The latest additions to UH Engineering’s impressive faculty roster represent fields and research areas tailor-made for the Houston region, including healthcare, energy, aerospace and infrastructure. Member of the National Academy of Engineering Jerome Schultz joins UH in the spring of 2017 as a Distinguished Professor of biomedical engineering. His career spans five decades of research, teaching, awards, publishing and patents. He has been awarded more than $32.3M in research contracts and grants during his prestigious career. Founding chairman of the department of bioengineering at the University of California, Riverside, Schultz’s experience is unmatched. His research interests include biosensors, facilitated diffusion in membranes, restricted diffusion in membranes, transport processes in tissues, pharmacokinetics, immobilized enzymes and bioimaging. Schultz’s research has been published in nearly 130 peer-reviewed articles. 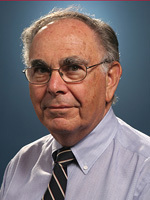 Schultz received his Ph.D. in biochemistry from the University of Wisconsin in 1958 and earned both his M.S. and B.S. in chemical engineering from Columbia University in 1956 and 1954, respectively. 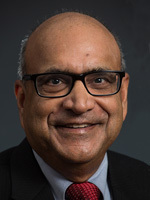 Member of the National Academy of Engineering, Kaushik Rajashekara joins the Cullen College as a Distinguished Professor of electrical and computer engineering. He became an NAE member for contributions to electric power conversion systems in transportation in 2012. Rajashekara is the first NAE member to join the electrical and computer engineering department at UH. 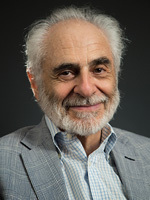 A fellow of the Institute of Electrical and Electronics Engineers (IEEE) and of the U.S. National Academy of Inventors, Rajashekara comes to Houston from the University of Texas at Dallas where he served as Distinguished Professor and Endowed Chair in the Department of Electrical Engineering at the Erik Jonssen School of Engineering and Computer Science. 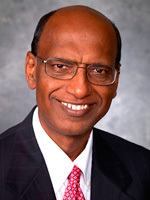 From 1989 to 2006, Rajashekara was technical fellow and chief scientist for advanced energy systems at Delphi Corporation/General Motors, where he provided a vision for future technology in the area of propulsion and power conversion systems for electric, hybrid, fuel cell vehicles and alternative fuel vehicles. In 1984, Rajashekara received his Ph.D. in electrical engineering from the Indian Institute of Science in Bangalore, India and, in 1992, he completed a master’s of business administration from Indiana Wesleyan University in Indianapolis. Andrea Prosperetti becomes a Distinguished Professor of mechanical engineering at the Cullen College. He is a member of the National Academy of Engineering for his work involving fluid mechanics, specifically multiphase flows. In 2003, the American Physical Society honored him with the highest award in his field, the Fluid Dynamics Prize. Since 2008, he has served as editor-in-chief of the International Journal of Multiphase Flow and serves on the editorial board of the Annual Review of Fluid Mechanics. Prosperetti comes from Johns Hopkins University, where he is the Charles A. Miller Jr. Professor of mechanical engineering. He also serves part time as the Gerrit Berkhoﬀ Professor of applied physics at the University of Twente in The Netherlands. He earned an M.S. in 1972 and a Ph.D. in engineering science in 1974 from the California Institute of Technology. He is the single author of approximately 40 papers and co-author of over 160 others. National Academy of Engineering member Ganesh Thakur joins the Cullen College as a Distinguished Professor of petroleum engineering. Thakur is recognized globally as a leader in reservoir engineering and water flood management and has written several Society of Petroleum Engineers (SPE) publications on the topic. He also has an impressive list of publications and teaching engagements conducted around the world. During a career with Chevron that spanned four decades, Thakur served in various roles including vice president and global advisor and Chevron Fellow. He also served as the SPE President in 2012. He earned his Ph.D. in petroleum and natural gas engineering from Pennsylvania State University in 1973 after receiving his M.S. in mathematics there one year earlier. He also holds a 1980 master’s of business administration from Houston Baptist University.